Rihanna feels disrespected after Rita Ora releases her new single 'Body on Me' featuring Chris Brown. 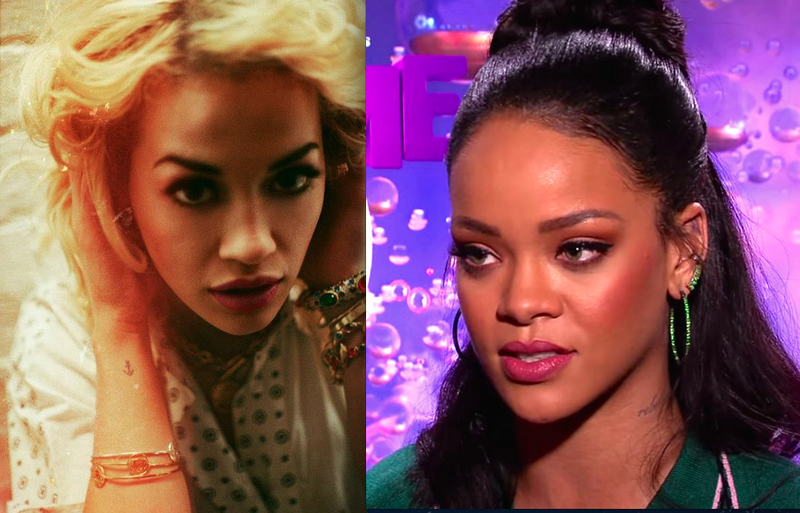 Rihanna thinks Rita Ora has a ''lack of respect'' for her. The 'BBHMM' singer is reportedly furious with the 24-year-old singer for recording a song with her ex-boyfriendChris Brown and objects to the steamy video which is set to accompany the track, 'Body On Me'. A source told The Sun newspaper: ''There's no lost love between them, but this is another example of what Rihanna perceives to be a lack of respect by Rita. The 'Poison' singer has been trailing the clip - which is set to premiere on August 21 - since unveiling the song earlier this week, teasing it is her most ''intimate'' video yet. And the incident heightens the secret feud between the pair, three months after Rihanna allegedly banned Rita from entering her Met Gala afterparty in New York. A source said at the time: ''She has a real issue with Rita and this was her chance for revenge.